and then life took it away. The world universe was abuzz with the last Miss Universe pageant. Everyone have their own opinion. The trolls were having a feast (no surprise there). So much happened in one night, and as always, so much to learn. The "confidently beautiful" Pia Alonzo-Wurtzbach joined Miss Universe-Philippines not once, not twice but thrice. Had she stopped on her first failed attempt to win the crown, she wouldn't have known that she will bring home the honor to her country. Trivia: the last time Philippines won the Miss Universe crown was 40 years ago. I can only imagine how Miss Colombia felt when after reveling in her supposed win (like 2 minutes or so), she found out---with the rest of the universe--- she didn't actually win. We all have had that experience when we thought we finally had it...and then life took it away. At least not on live TV though. So yes, imagine having to go through that painful and embarrassing experience with a highly critical audience. I guess there's nothing else to do but accept it. Contests are like that. Sometimes you win, sometimes you lose. So much like in real life. 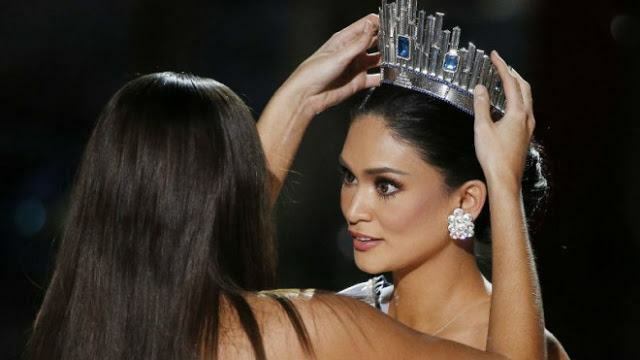 It was quite a while for Pia to let what's happening sink in because she's accepted that she didn't win the crown. After 3 tries, winning the 1st runner up title I'm sure is more than she could have asked for. Host Steve Harvey is actually brave not to deactivate his accounts knowing how harsh and cruel the internet could be to someone who made a mistake. He's ready to accept the people's reactions. We all make mistakes but it takes a man of character to admit it, apologize, and accept the consequences of his action wholeheartedly. Steve Harvey is one such man. Trolls all over the internet are quick to judge that he had one job, etc. But really, the pressure of hosting a show which the universe is watching, he made it look easy until he made that mistake. We can only guess what really happened. At least he was quick to right his wrong. He's a funny man, but that night, he was serious as I've never seen him before. Watch Steve Harvey personally apologizes to Miss Philippines here. There will always be bashers, haters, critics. Even when you try to make things right as with Steve Harvey, people will always say what they want to say. And sadly, they choose carefully words that can destroy. There's nothing you can do about that so shrug it off and walk away. If Pia focused on the wrong voices, she wouldn't have pursued her dreams. Do you know Steve Harvey's story? When Steve Harvey was a kid, his teacher asked them in class to write down their dreams. Little Steve, then with a stuttering problem wrote "I want to appear on TV every night and make people laugh." His teacher, maybe meaning well asked him to be more realistic and discouraged him with this dream. She made him change it. He told his father about it and his father told him to put his written dream in his room where he would see it first when he would wake up and last when he would go to bed. He told him to hold on to his dream. And so he did. That little boy had gone a long way simply because he focused on his dreams and let no one talk him out of it. I'm sure he felt bad for his mistake because he would never want to steal that special moment from the ladies. With his humor and resilience, I'm sure he'll get through this fine. People make mistakes. I feel sorry for Miss Colombia for that very fleeting moment of joy and victory given to her, but taken away almost immediately. I feel sorry for Steve Harvey for making a major blunder. I am 100% sure he didn't plan it, nor did he include it when he was visualizing his dreams then. I feel sorry for Miss Philippines because God knows how much she waited for this moment to come and when it did, it wasn't as she hoped it would be. She wasn't given that chance, that sweet moment to scream in surprise (like all beauty queens do) when she was announced as the winner. She was still processing it. Ah, it was too much for one heart to handle. No matter what you say, I'm sure you'll agree that this is one Miss Universe pageant that will always be remembered. It's epic. Congrats to my kababayan, Pia Alonzo-Wurtzbach for bringing home the much coveted Miss Universe crown! Well-deserved. We couldn't be prouder. Miss Universe is an unfair contest to begin with, every woman there is from Earth. I looked up the winners from years past and Columnbia won last year. It's almost like two-in-a-row Superbowl or World Series wins. Often too good to be true. Loved reading this post, Lux!! That poor woman - and that poor man. And how wonderful that he could (and did) apologise. These are lessons to be learned. I like Steve Harvey. Merry Christmas to you, dear Lux. I always love to read your posts Lux, this is Really Interesting as usual! It was soooooo cringe-worthy and soooooo humiliating for pretty much everyone involved... I feel for them all, poor things, lol. oh that story ^^oh man ! so crazy. Thank you for this beautiful write up of Miss Universe and the mistake. Everyone makes mistake and people can be very judgmental. Lovely, thought-provoking post that finds the best in what must have been an embarrassing incident for everyone. this was really dramatic, and i do feel sympathy for what miss colombia had to go through on-stage. hopefully she will also go on to do good things for her country. congratulations to miss philippines - she looked radiant! Congrats on her and your country! I was shocked when I saw this today, but in the end of the day we need to forgive each other, since everyone makes mistakes. Anyway, that was a sad story, hope everyone involved gets better soon after it. At least he owned up to it,haters are always out there and they will hate no matter what you say. Best to just ignore them and move on. 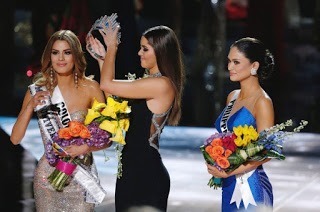 although it was really a huge mistake to announce a wrong winner, I must commend Steve Harvey's courage to face the huge audience and admit his mistake.. i just hope that that whole drama is not part of a publicity stunt... but then.. the most important part here is that Pia was hailed as the new Miss Universe which makes us all pinoy so proud! Her success is our success too cheers! would you like to visit my blog? She's a beauty. I'm glad she won. None of the contestant should feel humiliated. In the first place beauty is in the eye of the beholder so that part of the contest is subjective to begin with. And they are all beautiful women. There are other facets of the contest. An off day or distraction can take points away from an otherwise perfect performance. It must have been hard to have been crowned only to then be told it was a mistake. But mistakes happen. Steve Harvey, as always, behaved as a man should and shouldered the responsibility for his mistake. This was so awful to watch + hear about- suuuuuper cringe-worthy, for sure! Let he or she who has never made a mistake be the first ones to throw stones at Steve Harvey. It was simply a mistake and he's taken responsibility for it. Besides, judging women this way is appalling. I expected you to post about this memorable moment on live TV that has the whole universe buzzing. I choose to see it as a three-way win. Miss Philippines has the honor of being rightfully declared the winner and serving as Miss Universe. Miss Colombia will enjoy fame and probably get many opportunities as a direct result of the pageant blunder. Steve Harvey actually comes out of it in great shape, in my opinion, because most people love to know that celebrities are human and make mistakes just like them. Most people are eager to understand, have compassion and forgive, especially after Harvey publicly apologized and took personal responsibility for the error. If the producers of the Miss Universe Pageant are smart they will invite Harvey to host again next year because super high ratings will be assured. Firing him could create a backlash against the program and pageants in general. Thank you, dear friend Lux! Well said! it was an awkward moment but I think everybody handled it well! Thank you for telling the great story about Steve Harvey! Both Pia and Steve have something in common, they both pursued their dreams and look where it got them. Poor ms. Colombia! But you know, I think she became more famous because of this, and she will have bigger and more opportunities not only in Colombia but in the US. Yes, as she said, "everything happens for a reason." The pageant was really nerve wrecking, I'm so proud of Pia Alonzo that she tried her best and never gave up. Steve Harvey was a great man to own up to his mistake. When I heard about this, I had to cringe. It sounded so terrifically embarrassing. I've been very impressed by how respectable those involved have handled it though! Achei o anúncio errado da vencedora constrangedor... Mas erros acontecem, né?! I'm proud of Pia! Merry Christmas! I love the story about Steve Harvey's father. Parenting win! Thanks for sharing. You showed us the teachable moment beautifully. May I learn to be as graceful. This is such a lovely post! Pia is so stunning and queenly. I enjoyed reading. Happy holidays! These are all true. I just wished everyone handled the scandal gracefully and classy. However some did not. And people should stop bashing about the incident. We can just all accept what happened, besides there's something big we have to celebrate for. Great life lessons to share with all of us after the big news about Miss Universe. I did not know that Steve Harvey had a dream to appear on television and make people laugh. I loved learning that today. Thank you for these wise words today! Merry Christmas blessings to you and yours. 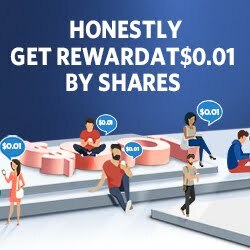 Great post, love your words! Such an awful thing to happen! Good post! I can't imagine what it would have been like to be any of those people that night and I think they behaved much better than the press! They do love their dirty laundry. First I just want to say hello! You always visit my blog and comment and for some reason, I am unable to reply to your comments. Finally found you and look forward to learning more about you. Based on your comments, you seem like a really sweat person and I'm thankful that you are a regular visitor to my blog! Now, I love how you summarized this into life lessons. Everything you stated is true. I did not actually see the pageant, but with the blooper...there were enough videos surfacing that I could stay abreast of what happened. 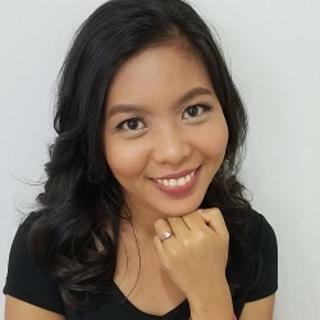 Congrats to Mrs. Philippines! Take care...found you over at While I'm Waiting. I had heard this story and at the time I was thinking how amazing it must have been for Mrs. Philippines to have found out she won later, and how crushing it must have been for Mrs. Colombia. But the latter took the news really well and stayed polite about it, which is something I can truly look up to because she believed she had won, but then hadn't. I didn't know about Stevie's story and that was interesting to discover. I loved how you approached this. So inspiring! And Steve Harvey's story is one of my favorites. Never give up on your dreams! Everyone makes mistakes... but it is great Steve Harvey admitted it... and corrected his wrong that really takes some courage... Miss Philipines great she won this after such a long wait, though feel sorry for Miss Columbia... nicely written write up.